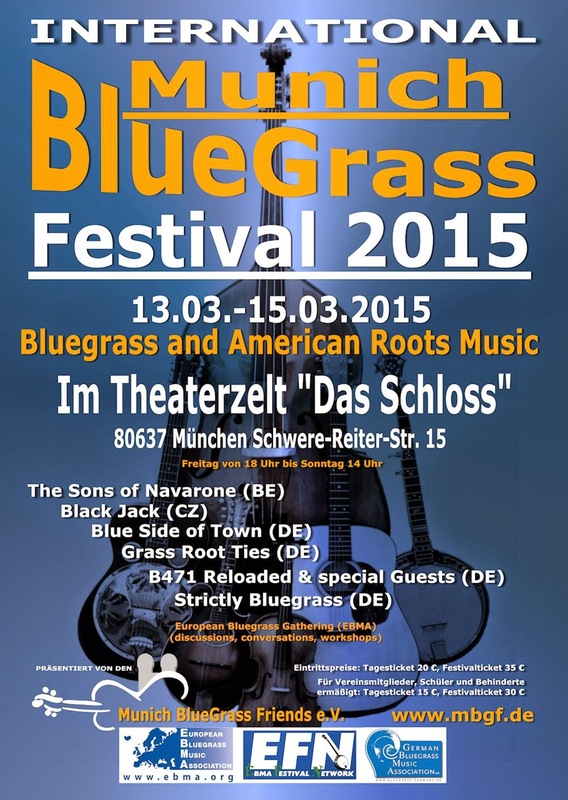 The European Bluegrass Gathering, including the Munich Bluegrass Festival is just three weeks away! The Gathering will be held at Das Schloss which is in the heart of Munich and within walking distance of (some very reasonably priced) hotels. The Gathering will be held from Friday 13th to Sunday 15th March. Friday begins with the various registrations for discussions and workshops from 17:00; the performances for the opening night of the Munich Bluegrass Festival do not start until 20:00 which gives plenty of time for renewing old acquaintances, making new ones and - in good Bluegrass fashion - join in with a jam session. Saturday begins with the EBMA Board Meeting which is open to all interested members and this will be followed by the 14th EBMA AGM which is open to all EBMA members and interested friends. Saturday continues with workshops and (no doubt) more jamming with performances running from 17:00 which will include the presentation of the 3rd European Bluegrass Music Awards. Some of the scheduled 'round table' and panel discussions will include a Q&A between touring bands and event promoters and the challenges faced by event promoters. The full programme for the European Bluegrass Gathering can be found on the EBMA website. So... something for everyone including Bavarian Weisswurst on Sunday morning. I never knew that there was an art to eating Weisswurst. See you in Munich!